Asthma is an extremely common long-term condition that affects over 5 million people in the UK. It is a chronic condition involving inflammation and narrowing of the airways and lungs causing the sufferer to experience symptoms such as wheezing, breathlessness and coughing. Symptoms can widely vary in severity between individuals; severe asthma can be life threatening. Although, asthma is incurable, children can ‘grow out’ of asthma during their teenage years and it can be well controlled and managed with treatment, with minimal impact on quality of life. Over 5 million people in the UK are currently receiving treatment for asthma, with 1 in 5 homes having someone living with asthma. Asthma occurs more commonly in women and children, however it can occur in anyone and develop at any age. Asthma is more likely to be a long-term condition if it develops in adulthood. There is no one direct cause of asthma; it can be caused by a combination of multiple environmental or genetic factors. Air pollutants, outdoor allergens (such as pollen), indoor allergens (such as dust), the quality of air, and certain viral respiratory infections can cause asthma. Genetic factors are also responsible for causing asthma, as are factors such as family history, obesity and psychological stress. Some medication can also trigger asthma in some patients. Asthma is more common in children and people who suffer with allergies, such as hay fever, and eczema. Children who are exposed to tobacco smoke, born prematurely or have a low birth weight are more likely to develop asthma. Asthma is characterized by wheezing, shortness of breath, tightness, pain or pressure in the chest and severe coughing. These symptoms are usually worse at night or in the early mornings, although they may appear any time. These trigger factors should be avoided if possible. If this is not possible you should always ensure you have your blue reliever inhaler with you and may wish to take a preventative dose before exposure to reduce the chance of symptoms developing. Asthma attacks vary from patient to patient, and mild attacks are more common than severe ones. In severe asthma oxygen is prevented from entering the bloodstream due to a build-up of carbon dioxide in the lungs. If an asthma attack occurs and it does not respond to treatment with a blue reliever inhaler (usually Ventolin), an ambulance should be called immediately. Although it can be well managed, asthma is a potentially serious medical condition and should always be diagnosed by your doctor. Your GP will be able to diagnose asthma based on your symptoms. To aid a diagnosis it is helpful to keep a diary of your symptoms; when they occur, their severity, and if there were any trigger factors. Using this information combined with diagnostic tests such as spirometry, peak expiratory flow (PEF) and airway responsiveness, your doctor will be able to make an accurate diagnosis. A peak expiratory flow measurement is taken using a peak flow meter. You may be given a peak flow meter on diagnosis of asthma to continue taking readings morning and night whilst you start your treatment. This will allow your GP or asthma nurse to monitor the progress of your asthma treatment and judge the effectiveness of your prescribed inhalers. Asthma is a chronic inflammation of the airways that can cause a blockage of airflow and squeezing of the air passages of the lung as a result of the contraction of the muscles in the bronchi. (Bronchi are the two air-tubes leading into the lungs.) Although there is no permanent cure for asthma, there are still ways to manage the symptoms to prevent a full flare-up, also known as an asthma attack. These two aims are managed using different types of inhalers and lifestyle techniques as detailed below. Asthma, however episodes can be controlled and managed with medications allowing people to live normal lives. Treatment for asthma can be categorised into short-term and long-term. The short-term medications (salbutamol & terbutaline) provide quick relief from episodes and the long-term medicines (corticosteroids – beclometasone & budesonide) offer a way to control future asthma attacks. ’Short-term’ asthma inhalers provide quick relief of asthma symptoms (relievers – usually blue inhalers) whereas ‘long-term’ corticosteroid inhalers (preventers – usually brown/purple inhalers) supress the chronic inflammation in the airways. Salbutamol (Ventolin & Salamol) is a short-acting quick-relief medication that is taken as the first line treatment for asthma. It is generally used in response to symptoms of shortness of breath, wheezing or coughing to provide quick relief. It can also be used in anticipation of symptoms, such as before exercise, to prevent them occurring. 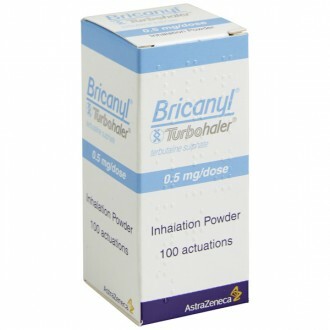 Besides salbutamol, your doctor may choose prescribe terbutaline (Bricanyl), which has a similar effect. 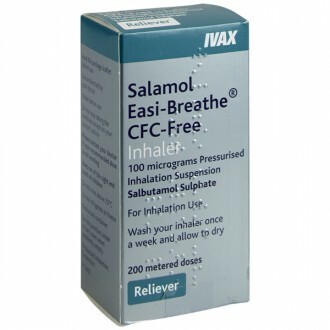 Salbutamol acts within 5 minutes and can act for up to 6 hours. Relievers (Ventolin, Salamol Easi-Breathe, and Bricanyl) act quickly to open the airways when they are narrowed and symptoms have started to develop. They can also be used prior to exposure to triggers, such as exercise, to stop symptoms occurring. When wheezing and breathlessness occur, it is important to use your reliever as quickly as possible following your asthma management plan set by your GP or asthma nurse. If your symptoms are no better or worse after 5 – 10 minutes and several doses of your reliever you should call an ambulance immediately. As mentioned above, there is no permanent cure for asthma. Treatments only alleviate the symptoms that lead to an attack. Asthma is usually prevented and treated with inhaled medication. However, most mild asthma symptoms may be controlled by lifestyle changes (for instance, by quitting smoking, etc. ), avoiding exposure to allergens and irritants (such as dust and pet dander) and using inhaled corticosteroids. Inhaled corticosteroids are a common type of asthma preventer that are inhaled without swallowing and go directly to your lungs, reducing inflammation. The main aim of preventers is to keep asthma symptoms under control by reducing the sensitivity of the lining of the airways and reduce any inflammation and mucous production. Examples of preventers include Clenil, Qvar, Seretide, Serevent, Flixotide, Symbicort, and Pulmicort. They normally contain an inhaled steroid, and may have other ingredients that work in combination to keep the condition under control when used regularly. In the long-term treatment of asthma, corticosteroids are most effective. They act to help reduce the irritation and inflammation of the airways, reducing the chance of symptoms and an asthma attack. 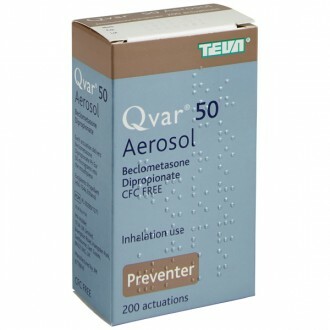 Inhaled beclomethasone (Clenil & Qvar) is taken once or twice daily to treat symptoms. It is important that inhaled corticosteroid inhalers (preventers) are taken regularly to allow a continued effect to build up and inflammation of the airways to be effectively supressed. 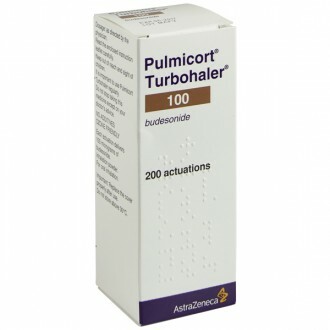 Budesonide (Pulmicort) is another common inhaled corticosteroid. 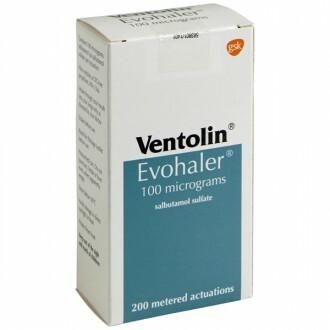 Preventers, such as Clenil & Qvar, and relievers (Ventolin, Salamol & Bricanyl) are often combined in asthma treatment for more effective treatment. Brown preventers are used regularly once or twice daily (as directed by your prescriber) and blue reliever inhalers are used when required to treat sudden onset symptoms. Along with inhaled corticosteroids, budesonide/formoterol (Symbicort) is another way to relieve asthma symptoms. Formoterol (a long-acting version of salbutamol) works for up to 12-hours is combined with budesonide (a corticosteroid) to both keep the airways open and reduce irritation and inflammation. Asthma should always be diagnosed by your doctor and any treatments should be used under their instruction. You should never self-diagnosed asthma or use any inhalers that are not currently prescribed by your doctor. It is important to see your GP at least once a year for an asthma check-up to ensure your symptoms and lung function are stable. The aim of asthma treatment is to keep your symptoms well controlled subsequently reducing the number of times you need to use your blue reliver inhaler. If you are finding that you are using your reliever inhaler daily or more frequently, this is a good indicator that your asthma is not as well controlled as it could be. In this case you should see your GP for advice on optimizing your asthma treatment. Asthma medicines are usually delivered through metered-dose inhalers, asthma spacers or nebulisers. You need to learn the correct use of your delivery device(s) from your doctor so that you get the correct dose of medicines. For advice on proper inhaler use, please contact us or visit www.asthma.org.uk. It is important to use your inhalers as instructed by your GP, asthma nurse or pharmacist to manage your asthma effectively with minimal impact on your lifestyle. There are can be some side effects with asthma medication, these include headaches, muscle cramps, tremor, anxiety and dry mouth. These normally indicate that you are using your inhaler too much or too often. If you experience side effects from your asthma inhalers you should discuss them with your GP. After using brown preventer (steroid) inhalers, if you do not rinse your mouth or brush your teeth after taking the medication, there may be increased chances of oral candidiasis (oral thrush). You may also experience hoarseness, nasal congestion, headaches, rashes, dizziness and visual changes. Are there any ways to prevent or better control Asthma? Although asthma itself cannot be prevented, correctly using prescribed medication and making a number of lifestyle changes may avoid the onset of symptoms and asthma attacks. Staying away from “triggers” can help to avoid exacerbations of your asthma. This includes staying away from as many allergens as possible. Air filtration can also be considered in order to keep your living environment free from allergic triggers. Exercise not only helps to keep you fit and healthy, it can also help to keep your asthma under better control. Light exercise that doesn’t worsen your symptoms can be beneficial, increasing your lung capacity and giving you greater control over your breathing. It may be necessary for some people to take their blue reliever inhaler before exercise. Get regular asthma reviews with your GP or asthma nurse. Your asthma control may better or worsen, but you should always have a plan in place with your healthcare team to ensure you know how to act whatever the circumstance. It is important to be open and honest with your GP, asthma nurse or pharmacist to ensure you receive the best treatment. Asthma should be a well-controlled condition where you using your reliever no more than a few times a week; this is the level of asthma control that everyone should aim for. Take your inhalers as prescribed and ensure you have good inhaler technique. Using your corticosteroid preventer inhaler regularly and as prescribed will vastly increase your chances of keeping your asthma well controlled and limit your chances of a serious asthma attack. You should check with your healthcare team that your inhaler technique is good to ensure you are getting the most out of your inhalers. Get the winter flu jab. People who suffer with asthma are more susceptible to catching flu, which is also a major trigger factor for asthma exacerbations. The flu jab is available free for all people with diagnosed asthma from their GP around October every year. If you smoke, stopping smoking will significantly reduce the frequency and severity of your asthma symptoms. Asthma is a chronic condition that affects the lungs. Within the lungs are small tubes called bronchi, which carry air to and from the lungs. If you suffer from asthma, these tubes will be inflamed and more sensitive than normal. Symptoms will occur when a sufferer comes into contact with an asthma trigger. This is something that will irritate the lungs. This irritant will cause the airways to narrow and the surrounding muscles to tighten, leading to an increase in the production of sticky mucus (phlegm). Unfortunately, asthma is a condition that cannot be cured. However, with the appropriate treatment and technique it can be successfully managed. Tightness in the chest, which may feel as though a band is being tightened around the chest. Asthma symptoms tend to be worse early morning and at night, particularly if the condition is not well managed. These symptoms can also be exacerbated in response to a trigger, such as exposure to allergens or exercise. What triggers can cause Asthma to worsen? Allergens - Such as animal fur, pollen, dust mites or feathers. Airborne irritants - Such as chemical fumes, pollution and cigarette smoke. Respiratory tract infections - Especially infections of the upper airways like colds and flu. Certain Medicines - In particular, the group of painkillers known as Non-Steroidal Anti-Inflammatory Drugs (NSAIDs). This group includes; Aspirin, Ibuprofen, Naproxen and Diclofenac. Also, a group of medicines called Beta-Blockers, which are sometimes prescribed to treat heart disease and high blood pressure. Strong emotions - Such as stress or laughter. Weather Conditions - Such as sudden changes in temperature, windy conditions, cold air, hot and humid conditions. Indoor conditions - Such as mould, damp, dust mites and indoor chemicals found in carpets and flooring materials. Food allergies - Such as nuts, gluten and other food items. Foods containing sulphites - These substances naturally occur in certain foods and drinks, such as processed or pre-cooked meals, concentrated fruit juice and jams. Exercise - Moderate to strenuous exercise is a known trigger. What medication can I take to treat Asthma? There is currently no cure for asthma, however, there are a number of treatments that can help successfully manage the condition. These treatments are based on two important factors, which are; preventing attacks and relieving symptoms. For most people, the treatment regime will commonly involve the daily use of medication, usually in the form of an inhaler. Certain regimes will only require the occasional use of medication, again usually by way of inhalers. It is also imperative to identify and avoid known asthma triggers. An asthma sufferer will usually have a personalised action plan that has been agreed with their doctor or asthma nurse. This will include information about what medicines are needed, how to recognise when symptoms are becoming worse and what steps to take in such an event. Reliever inhalers should be provided to everyone with asthma. They are typically blue and used to quickly relieve asthma symptoms. Reliever inhalers usually contain a short-acting Beta2-Agonist, which works to relax the muscles that surround the narrowed airways. This action allows the airways to dilate, which allows the sufferer to breathe with more ease. However, reliever inhalers do not actively work to reduce any inflammation in the airways. This means that they do not improve the condition in the long-term. 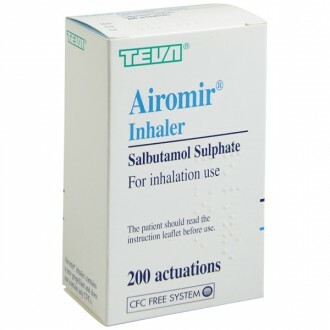 Reliever inhalers are only intended for the short-term relief of the associated symptoms. Examples of reliever medicines include; Salbutamol and Terbutaline. These medicines are well tolerated and generally offer few side-effects unless abused or overused. If the asthma is well controlled then reliever inhalers should rarely need to be used. What are Brown Inhalers or Preventers? Preventer inhalers are normally brown, red or orange. They are designed to work over time to help reduce the amount of inflammation in the airways. This action also helps to reduce the risk of an asthma attack occurring. They are intended for indefinite, regular use and are typically used twice daily. A once daily dose is also used but this is less common. Preventer inhalers need to be taken for some time before a sufferer starts to notice the full benefit. Initially, it may be necessary to occasionally use a reliever inhaler in conjunction with the preventer. However, your asthma treatment should be reviewed if you find the need to use them too frequently. Preventer inhalers commonly contain an inhaled corticosteroid, such as Beclomethasone, Budesonide, Ciclesonide, Fluticasone or Mometasone. Preventer treatment should be used regularly, providing your asthma symptoms are anything more than occasional. If a sufferer is finding the need to use a reliever inhaler more than twice a week then they should also be using a preventer. Some inhaled corticosteroids can sometimes cause mild fungal infections (oral thrush) of the mouth and throat. This is why it is recommended to rinse the mouth thoroughly after administering a dose. Using a spacer device will also help reduce the risk of developing this type of infection. Further information on side-effects can be found below. Smoking can reduce the effectiveness of preventer inhalers. What are the side effects of Inhalers? Reliever medications are safe, effective and carry little in way of side-effects. This is provided they are not abused and used too often. The most common side-effects are tremors of the hand, headaches and muscle cramps. It should be noted that these side-effects generally only occur with high doses of reliever medication. Also, the effects usually subside after just a few minutes. Normal doses of preventer medication usually does not produce many side-effects. Although, at higher doses, a range of side-effects can occur, especially with long-term use. The main side-effect being a fungal infection of the mouth or throat, this is sometimes referred to as oral candidiasis or oral thrush. This will likely produce a hoarse voice and sore throat. Using a spacer device will help prevent this side-effect. Also, cleaning your teeth and rinsing your mouth after each use will reduce the risk of developing oral candidiasis. A doctor or asthma nurse can help advise ways to balance controlling your asthma with minimising the potential side-effects. How long does it take for the Inhalers to work? Reliever inhalers usually begin to work within a few minutes after inhalation. The effects tend to last for 3-5 hours. Preventer inhalers need to be used regularly in order to gain any effect. 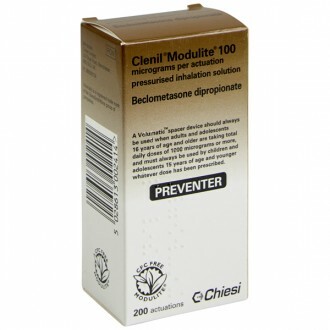 If you are suffering an asthma attack, preventer inhalers will not provide any immediate relief. During an attack, you should use a reliever inhaler to ease the symptoms. 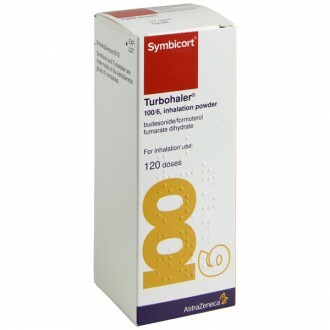 Certain inhalers combine both the reliever and preventer into one device, for example; Symbicort. This combination device can be used as a reliever treatment, though it should only be used in this fashion if a doctor has authorised its use as a rescue treatment. Do I need to see a Doctor before I can get Asthma treatments? If you have never been diagnosed with asthma then you would need to see your doctor before treatment could be provided. This is so they can assess your condition and perform the necessary breathing tests. They will likely ask whether there are any allergic conditions present like eczema or hayfever as these symptoms can sometimes run side by side with asthma. As many asthma symptoms are similar to other conditions, it is important to seek professional help in order to receive an informed diagnosis. Once you have been diagnosed with asthma and after your condition is well managed, you can obtain repeat prescriptions online from us or from your local GP surgery. It is important to have your condition checked regularly and your treatment altered if your condition changes. What is the most common age group to suffer from Asthma? Approximately 5.4 million people are currently receiving treatment for asthma in The UK. This works out to be one in every twelve adults and one in every eleven children. Asthma in adults tends to be more common amongst women. For most sufferers, asthma is a long-term condition, especially if the condition first develops in adulthood. Asthma symptoms can be controlled and reversed with the appropriate treatment. However, some sufferers can develop a permanent narrowing of the airways, which may incur more persistent symptoms and problems. Many children diagnosed with asthma can find that their symptoms improve or even disappear during adolescence. Although, in some cases the condition can recur later in life. Children who suffer from moderate to severe asthma are more likely to find their condition persisting into adulthood. It is not fully understood why certain people develop asthma, although having a family history of it is a known factor that can increase the likelihood of developing the condition. Asthma can develop at any age, including young children and the elderly. There is currently no cure for asthma. However, the condition can be safely and effectively managed through widely available treatments. It is important to consult with a doctor or asthma nurse to ensure the right treatment and techniques are being used. By adopting good habits and taking the medication as directed, the full benefits can be felt. Also known as acute asthma exacerbation, an asthma attack is when asthma symptoms become significantly worse. They often develop slowly, sometimes taking two or more days until they become serious. In contrast to this, some sufferers can experience sudden, severe and unexpected attacks. During any kind of asthma at tack, it is important to take swift, appropriate action. Your reliever inhaler is less effective at relieving asthma symptoms. Constant wheezing, coughing and tightness of chest. Inability to eat, sleep or speak due to breathlessness. Feeling exhausted, drowsy or dizzy. Your lips and or fingers turn blue. This is known as Cyanosis. What do I do if I get an Asthma attack? Inhale 1-2 puffs from your reliever inhaler. Sit down and attempt to take slow, steady breaths. If there is no improvement, take an additional 2 puffs from your reliever inhaler. The dose is 1 puff at a time, leaving a gap of two minutes between puffs. You can take up to 10 puffs. Using a spacer device can make this process easier. If after following the steps above there is still no improvement, or at any time if you are worried, call 999. If an ambulance does not arrive within ten minutes then it is recommended to repeat step 3. If your symptoms improve and there is no need to call 999, you will still need to visit a doctor or asthma nurse within twenty-four hours. If hospital admission is required, you will usually be administered a combination of oxygen, reliever and preventer medication, which will help bring your asthma under control. Following an asthma attack, your personal asthma action plan will need to be reviewed. This will be to identify the reasons for the attack so that future occurrences can be minimised or prevented. Asthma, if not properly controlled, can be a serious condition. On average, three people die each year because of an asthma attack. Sadly, research has proven that two-thirds of asthma-related deaths are preventable. However, it is a reassuring that the majority of asthma suffers, who are receiving the correct treatment and using the correct technique, manage their condition effectively, allowing them to live a normal, productive life. If you discover you are pregnant, it is important to visit your doctor or asthma nurse as soon as possible. This will provide an opportunity to review your asthma medication and to update your written asthma action plan if required. It will also be necessary to inform your midwife of your asthma so that it can be noted down in your birth plan. Using your asthma medication as prescribed, even if you are not suffering from any symptoms. Reviewing your asthma with your doctor or asthma nurse to ensure you are getting the most out of your medication. Ask your doctor, pharmacist or asthma nurse to review your inhaler technique. Smoking while pregnant is linked to an increased likelihood of the baby being born with breathing problems, such as asthma. It also increases the risk of miscarriage and premature labour. If a baby is born prematurely, their lungs will not have developed fully. This will carry an increased risk of childhood wheezing. It is recommended to ask friends and family to avoid smoking around you, as their second-hand smoke could exacerbate your asthma symptoms, which could even lead to an asthma attack. Asthma medicines are generally considered safe for use during pregnancy. These include relievers, preventers and combined reliever inhalers such as Theophylline; and steroid (prednisolone) tablets. There is potentially more risk to you and your baby by not taking your asthma medication as prescribed. It is considered safe to breastfeed whilst taking asthma medication as only trace amounts of the medicine will pass into the breast milk. These amounts pose no risk to your baby. Also, medicines prescribed for asthma do not affect the body's ability to produce breast milk. Studies have shown that breastfeeding can help lower the risk of your baby developing asthma. If however, breastfeeding is not a suitable option, this does not mean your baby will develop the condition. Speak to your midwife or health adviser about which formula is the most suitable for you.